The all new iPhone 5 has generated so much buzz and attention. Following the announcement of the new iPhone 5 model on 12 Sep 12, actual sales of the iPhone 5 for Singapore is going to be on 21 Sep 2012, with pre-orders starting this Friday (14 Sep 12). As evidenced from the last iPhone 4S launch, Singapore, alongside Tokyo has been one of the lucky few of the first-to-launch countries and we are expecting the same this time around. So, do expect the usual long queues and iPhone frenzy at your Singtel, Starhub, M1 launch events. Based on past experience, pre-order is a must and perhaps even ask for the delivery option to save your hassle of queuing up, unless there are some goodie bags at the physical launch event. Read our related posts highlighted below to get more information on the launch and how to pre-order. Update (13 Sep 12): The Telcos have started to move. Read here for the latest updates. Update (12 Sep 12): Read here for live updates of the launch event. Update (11 Sep 12): The news is going to be released Singapore time 1 am on 13 Sep. We would be updating live via Facebook on the status. Like us on Facebook to get the latest updates when you wake up on Thursday Morning. Update (05 Sep 12): Click here for more on the upcoming new iPhone 5 launch Annoucement – including leaked photos! Two-Tone, Unibody Design. The new iPhone design is expected to be housed in a two-tone, unibody design that I think is quite attractive. The new housing design should allow it to be slimmer as compared to the iPhone 4S and overall, thinner and lighter as well. I like the new iPhone 5 design. The two-tone gives it a contemporary sleek look that scores high in the class department. The matte anodized aluminium finish help prevent those pesky fingerprint smudges on a glossy backplate. Speed Improvements. Like the released iPad 3, the new iPhone 5 will get a speed bump. It might have the new A6 processor, which would promise better graphics capability as well as better multi-tasking. The iPhone 4S and/or the iPad are no slouches in the speed category and would compare quite well with the quad-core Android phones. New Dock. The new iPhone 5 is expected to have a new, smaller dock connector. It will come with a smaller connector (almost micro-usb size) instead of the usual 30-pin connector which is currently how the iPhone and iPad are designed. What does this mean? New car chargers, new iHome docking stations, new portable speakers that your current iPhone can plug right in to, and a whole bunch of apple related accessories. This will be a bummer for those current apple users with a significant number of associated accessories. While understandably frustrating, it will make the new iPhone 5 thinner and is a design for the future. Bigger screen. A 4 inch screen finally. While still smaller than the Android flagship devices like the Google Nexus, Samsung Galaxy S3 and many more, the iPhone 5 is likely to get a bump up from the previous 3.5″ screen that had lasted across the 4 to 5 previous generations since 2007. While a technology leader at that time, it now has to play catch up to multiple devices that have exceeded it in this category. Clearly, size matters, as evidenced from the popularity of the Samsung Galaxy Note. The 5.3″ behemoth was one of the top sellers in Singapore and Samsung is reportedly going to launch an even bigger version soon. However, Apple would not compete head on and will be only bumping the size up to 4″. 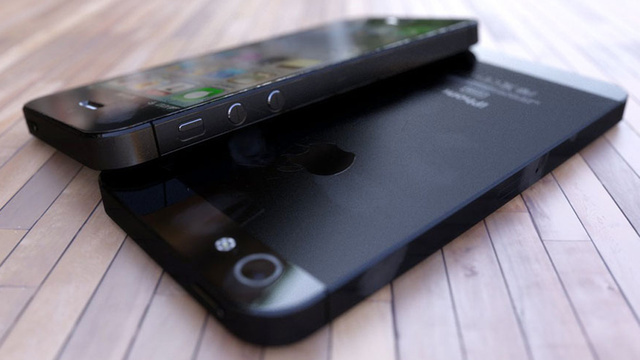 In times when the Samsung Galaxy S3, HTC One X, LG Optimus 4X are all sporting 4.7″ and above screens, how would the iPhone 5 screen compare? I think 4″ is a decent screen size for reading and surfing on the mobile phone but I would prefer a bigger screen device. The good thing was that Apple is keeping the width of the same so the general feel of the phone would stay the same. Considering the Samsung Galaxy S3 or thinking of switching to Android? You may find this interesting.